Seems like an illusion, doesn’t it? Our favorite sweet treat can’t possible be good for us no matter how we make it, OR if it is, then it can’t possibly be as good! That’s been the sad truth…until now. Welcome to the revolution. Grab hold of your self control because you’re about to learn about a way to make a Reese’s peanut butter cup that not only is totally clean and healthy, but totally rivals the store bought kind on taste AND is way TOO easy to make! 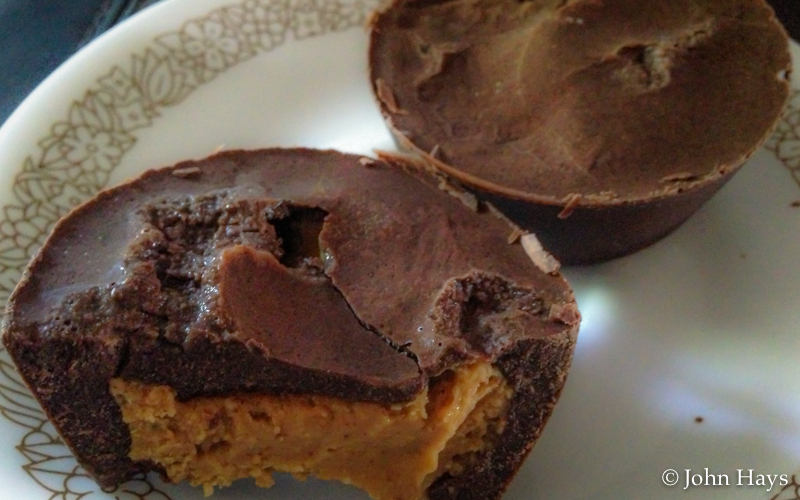 Without further ado, I give you…healthy Reese’s. Oh, and if you need the Shakeology, you can get that up top under the Nutrition tab in the menu. Your favorite treat totally clean & healthy and JUST as tasty!